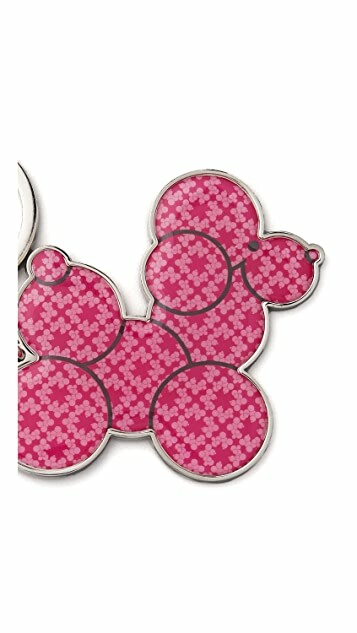 This metal key ring features a plastic-inlaid poodle detail. * Poodle is 3.25" (8 cm) long. Do I have to feed it? I knew from reading a former review that this was going to be aa good sized dog...not a tiny puppy. 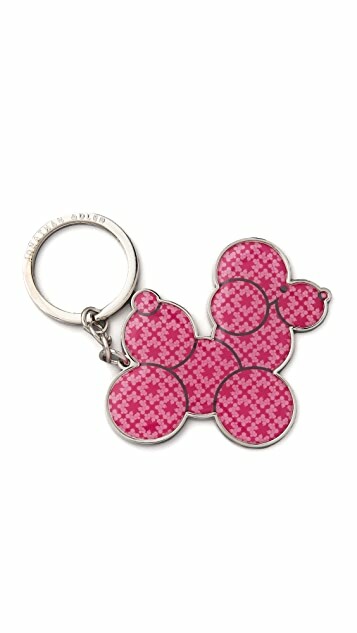 My pre-poodle keychain was a small, enameled, bright red-orange tomato from Tiffanys. Emphasize small as in cute-small. If you carry a wallet instead of huge purses, stick with the one you have. 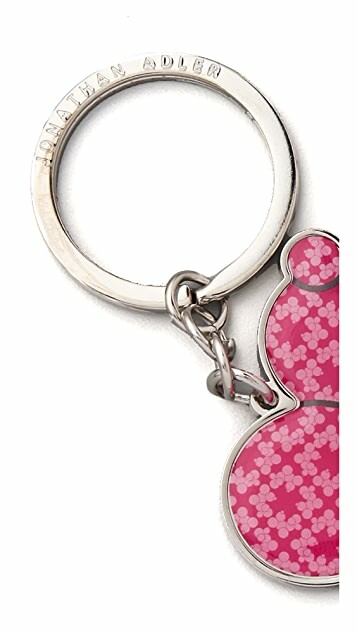 If you are like me and are always digging through your purse like a crazy woman--get the poodle. It will never, ever get lost and it's a good dog. I happen to live with an apricot poodle who is 3.5 lbs. They play together quite well. I'm teaching this one to sit.